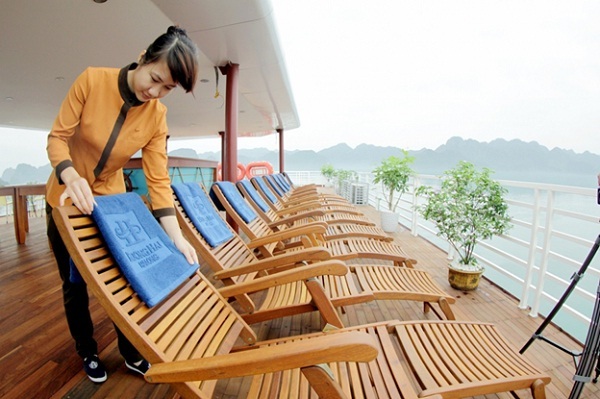 Newly launched in Feb, 2013, Huong Hai Sealife Cruise with 26 luxury guest rooms at 4 star- level is the best choice for travellers to Halong bay with the expectation of high-end facilities, professional services. 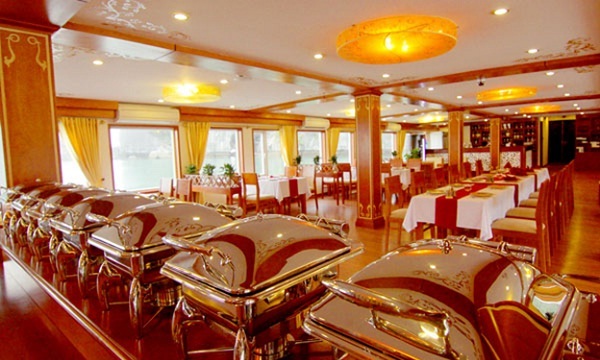 With the spacious and inviting atmosphere, the Sea Flora restaurant on Huong Hai Sealife Cruise provides customers the perfect dining experience. The seasonal menus use the best fresh local ingredients. The atmosphere is intimate and the service is always attentive and personalized. The Sea Flora restaurant includes a bar where customers can enjoy cocktails and wine. You will be charmed and appreciate the warm ambiance and flavorsome cuisine accompanied by stunning views over the beauty of Halong Bay. 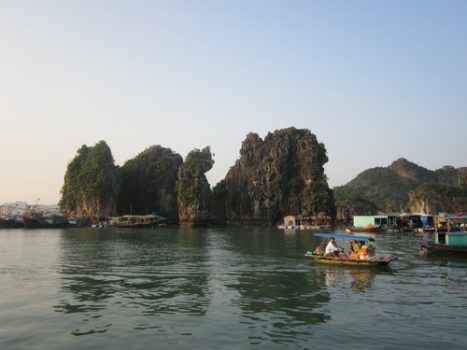 Moreover, this cruise brings you a good chance to meet fishing villagers and discover truly natural beauty of the world wonder Halong bay. 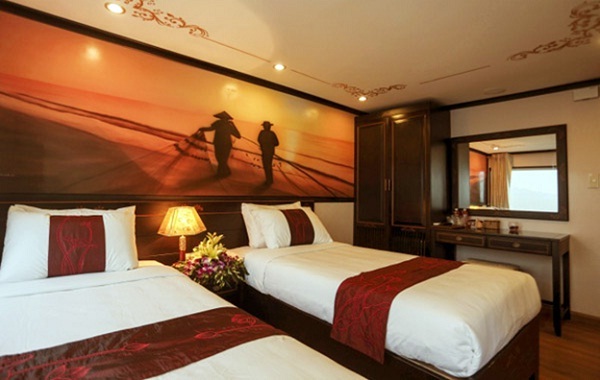 To guarantee the most fantastic trip for you, all of the services from the dining room, guest room, bar, sundeck, massage room and many other recreational facilities are at the highest level of luxury and offered by all friendly, well trained crew. 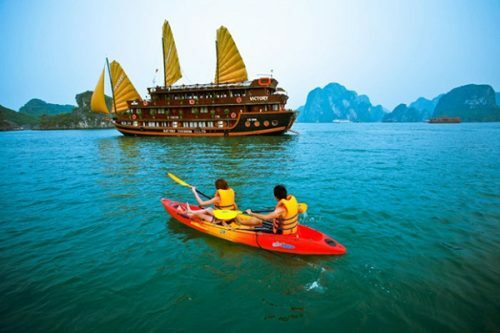 To have a well-rounded view on Halong Bay’s beauty, the itinerary of Huong Hai Sealife Cruise covers not only famous but also untouched sites of Halong Bay, such as Sung Sot Cave, Ti Top Island, Ba Ham Lake, and more. All of these will bring memorable memories for you, as you look back to the adventure on the legendary bay of descending dragon.